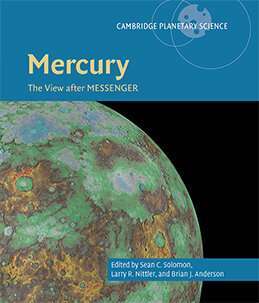 We'd written hundreds of papers, but we wanted to synthesize all of that information while we were still together as a team, and describe to our scientific colleagues what we had learned about Mercury from the MESSENGER mission. Of the four inner planets, Earth ended up a bit larger, the only one that today has oceans, that today has a climate amenable to the organisms that live there, and that we know was a seat for the origin of life. And so Earth seems special, especially to us because it's our home. But it is a product of the same processes that produced our sister planets, and so we'd like to understand what characteristics led to the environment that we call home, and how small changes in the starting conditions or distance from the host star or other events may have set Earth off in a slightly different direction from its sister planets. How vulnerable does that mean our planet is over the long-term, and how likely is it that Earth-like planets around other stars might have outcomes similar to that of our own planet? Mercury's harder to get to than either Venus and Mars, and it's farther. It's much closer to the Sun, so the environment is much harsher—the Sun is as much as 11 times brighter than it is at Earth's orbit, and the radiation is higher because you're that much closer to the Sun. So it's always been a challenge to send a spacecraft to Mercury. Humankind has sent more than three dozen spacecraft to Venus and more than four dozen to Mars. MESSENGER was only the second spacecraft to visit the innermost planet. Nonetheless, it gave us a global view of surface composition, the interior, and the space environment. So we're definitely catching up to where Mars exploration was about 40 years ago, and to where Venus exploration was roughly 25 years ago. Catching up: yes; caught up: no. 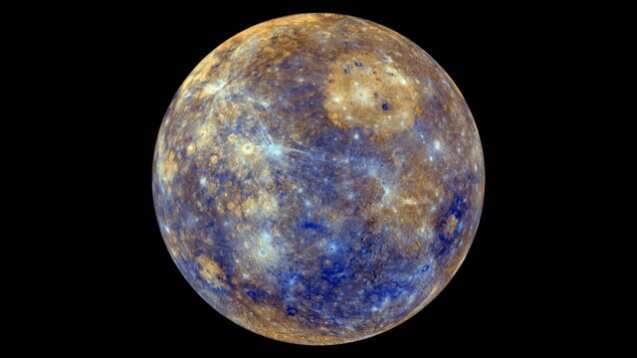 Of all the inner planets, Mercury is made of the densest stuff, by far. We've known for 70 years or so that it's mostly—maybe two-thirds—metal, and there were ideas as to why. One idea was that Mercury is metal-rich because it condensed only from those materials that were solid very close to the Sun, which would have included iron. Another idea was that it started out maybe twice its current size, and then extraordinary heat from the nebula of gas and dust around the early active Sun vaporized the outer portion. A third idea was that Mercury started out Mars-like in size, and later a large object collided with it and ejected most of the rocky shell, leaving behind a metal-rich object that was smaller by maybe a factor of two. All of those theories predicted Mercury should be depleted in elements that are easily removed by high temperatures—the so-called volatile elements. We made the first chemical maps of the surface, and one of the biggest surprises of the mission was that those volatile elements are present, and they're present in high abundances. So none of the theories for why Mercury was metal-rich are correct. They've all been falsified by the geochemical remote sensing. That means we need a new theory for how to assemble the inner planets. Another surprise came when we measured Mercury's magnetic field. We had a guess that, like the Earth's field, it would be dominantly dipolar—like the field of a bar magnet—and it was. The big surprise was that, unlike Earth's, the magnetic field of Mercury doesn't have the same center as the planet. It is offset toward the north pole by about 20 percent of the planet's radius. There were no models that predicted that result before the mission, and it has important implications on Earth. Earth's polarity occasionally flips, and those magnetic reversals provide the basis for working out a lot of Earth's history. The method assumes that the Earth's magnetic dipole has always been at the center, but to find a sister planet where that's not true at least challenges this assumption on our own planet. There were many other discoveries, but the last one I'll mention is about Mercury's polar deposits. These deposits were first seen decades ago by Earth-based radar as bright areas inside impact craters near the north and south poles. These areas are in permanent shadow and have been cold enough to trap water ice for billions of years. MESSENGER confirmed that the polar deposits are mostly water ice, but we discovered something else. In craters more than a few degrees from the poles, the ice was covered by an extraordinarily dark material. It's darker than anything else on Mercury, so it's not Mercury material. It's associated only with the polar deposits, so maybe it's there because of the same processes that sent the ice to Mercury. Our team's conjecture is that the dark material is organic matter of the sort that coats objects in the outer solar system, and that it could have been delivered along with water ice by the impacts of comets and asteroids. One of the ideas for how the Earth's water was acquired is that it came from the impacts of outer solar system objects. 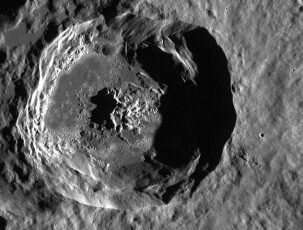 And so it might be that, preserved in the deep freezes of these polar craters, Mercury provides an archive of the process by which water and organic material were delivered to the early Earth. I'm sure there are more discoveries to be made from the MESSENGER data. We have terabytes of data that were collected, and there are people writing papers on the analysis of those data now. We expect that students of Mercury will be pouring through those data for years and years. In addition, there are two spacecraft en route to Mercury right now as part of a joint mission by the European Space Agency and the Japan Aerospace Exploration Agency called BepiColombo. The spacecraft are expected to enter orbit around Mercury in late 2025. Until then, the MESSENGER data are the best available for addressing questions that haven't been answered yet, and setting up the questions to be answered by BepiColombo. So we expect the MESSENGER data to be a very important resource, certainly for the next seven years, and no doubt thereafter. MESSENGER had an elliptical orbit around Mercury, so we had to pick one hemisphere for the closest approach, and we picked the north. So BepiColombo is going to get better observations of the southern hemisphere than we did, and it's bound to improve our understanding of the hemispheric differences. One of the questions I have is: Can we see anything in the surface, in the geological history or composition, for instance, that gives us a clue as to why the magnetic field is off-center? It will also be interesting to find out if we can see surface changes since MESSENGER was there, indicating ongoing geological processes, changes to the magnetic field, or other modifications that we can't even anticipate at this stage. I think I'll probably leave the next book to those guys.